London Beg. – Thomas Douglas. 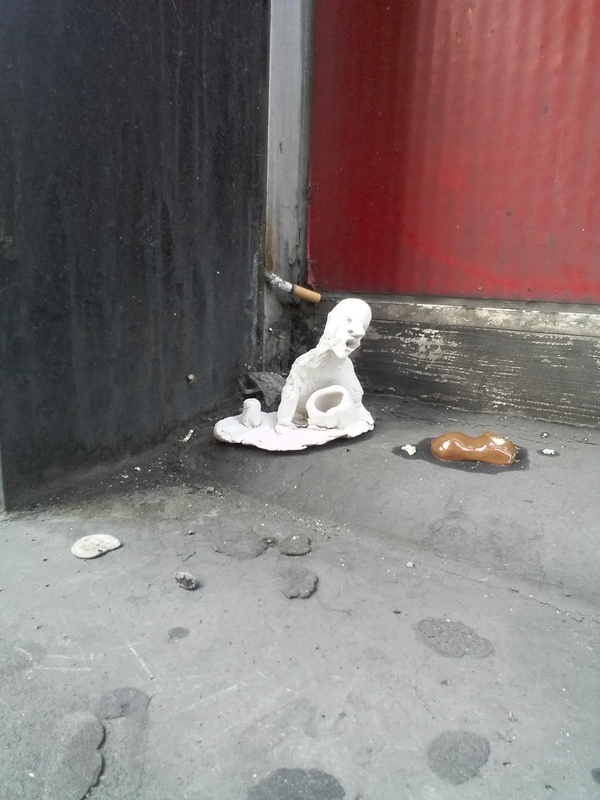 Small Sculpture of London Homeless. 5 people looked at this in as many minutes. Two touched it. One took it and moved it.